Secretary of State William F. Galvin said the district’s 37 cities and towns must complete the recount process by Monday. Citing concerns about short-staffing and the mishandling of primary ballots, Secretary of State William F. Galvin said Monday he is taking over the elections departments in the Third Congressional District’s two largest cities, as he formally ordered a recount into its hotly contested Democratic primary. 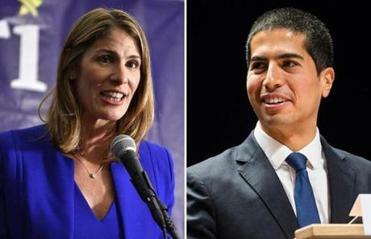 The decision to “exercise direct control” in Lawrence and Lowell through the November election injected a new level of intrigue into the unpredictable Third District race, where Dan Koh, a former chief of staff to Mayor Martin J. Walsh of Boston, petitioned for a recount after falling 122 votes short of Lori Trahan in the 10-Democrat field. The certified tally released Monday showed Trahan, a one-time Capitol Hill chief of staff, topping the field with 18,527 votes, with Koh in second with 18,405 — a margin of roughly 0.14 percent among the 85,591 votes cast for candidates. In ordering the recount, Galvin said the district’s 37 cities and towns must complete the process by Monday. But he also raised concerns about how officials in Lowell, the district’s largest city, handled last Tuesday’s primary results. 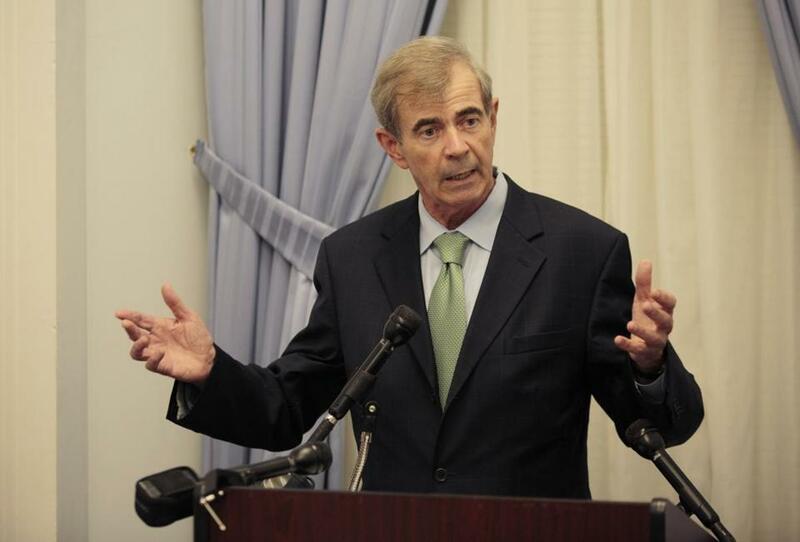 Citing several “administrative errors,” Galvin said Lowell initially provided incomplete results to his office, and he later learned that hand-counted ballots in three precincts were stored separately from other sealed ballots. Lori Trahan led Dan Koh by 52 votes — for a margin of 0.06 percent — after nearly 85,000 ballots were cast in Tuesday’s primary. Officials found a “significant number of precincts did not reconcile or had missing information,” Galvin wrote in a letter to Eda Matchak, Lowell’s director of elections. He also raised questions about how her office handled provisional and absentee ballots. “Such practices and procedures are contrary to election law,” Galvin wrote in the letter. Matchak did not return requests for comment Monday. But Lowell Mayor William Samaras said he still had confidence in the city department. In Lawrence, Galvin said, he had concerns about whether the city had enough staffing to handle the election’s demands, pointing to the “imminent departure of the city’s only experienced elections specialist.” The employee, Richard Reyes, is slated to leave City Hall this month. He is considered a “linchpin guy” in the department, Lawrence Mayor Daniel Rivera said Monday. Rivera — who endorsed Galvin’s unsuccessful primary opponent, Josh Zakim, and publicly jabbed with the secretary — said he believes Galvin’s decision had nothing to do with their feud. Rivera, too, said he was confident that the votes in Lawrence are accurate. Galvin framed the decision to take control in the two cities as an effort to ensure the recount and the November election go smoothly. “Given the need to expedite results on this and some uniformity in the process, I think it’s the right thing to do,” said Galvin, who will appoint a designee to work directly with each city’s office. He also noted that it’s not the first time he took direct oversight of a local department, pointing to his office’s yearslong involvement with the Boston’s Election Commission several years ago. The concerns he cited could bring another level of scrutiny to the results. More than 3,220 of the ballots in the Third District race were left blank, with most of them — 1,256 in total — coming from Lowell, where they made up nearly 11 percent of all ballots cast in the city. He cited an example of a voter circling a candidate’s name instead of darkening the required circle next on the ballot. It may not have been counted as a vote originally, but if it “shows the intent of the voter,” he said, it could be included amid the recount. The campaign for Koh, a 34-year-old Andover native, cited the margin in the race and what he called changes in vote totals in some communities in seeking the recount. “The latest very serious concerns raised by Secretary of State Galvin make it abundantly clear that a recount is necessary to ensure everyone knows who won the election,” Koh’s campaign said. Trahan, who served as chief of staff to former US representative Martin T. Meehan, has continually said she was confident she had built a big enough margin to win the primary — the largest primary field for a congressional race in Massachusetts in two decades. She’s also sought to turn her focus toward the general election, holding a “Women for Lori” event on Saturday with three of the other female candidates in the race. “We have full confidence in Secretary of State Galvin and his office to oversee the recount process,” spokeswoman Gretchen Grosky said. The developments follow a chaotic six-day sequence in which Trahan declared victory on Election Night, watched her margin dip to as few as 52 votes in an unofficial count, and then, like Koh, began collecting signatures in preparation for a potential recount. Rick Green, a Pepperell Republican and businessman, and Mike Mullen, an independent candidate and IT director from Maynard, are also on the Nov. 6 ballot. Edward Colbert, an attorney at Casner & Edwards who has worked on election recounts for candidates and ballot committees, said a key question is whether local officials had properly secured each and every vote. “Any time there’s an irregularity in the voting process — and it sounds like the secretary has identified enough to give him reason to look into whether there were — when you combine that with how close this particular election was with these two candidates, I would be quite concerned,” he said.